Dog-friendly home w/ jetted tub, hot tub, golf on-site, shared pool! This dog-friendly Eagle Crest home is the ideal setting for your next family vacation! With a jetted tub, hot tub, shared pool, and on-site golf, a few days here will have you relaxed and rejuvenated. Located in a quiet area nine miles to the west of Redmond, it's an easy trip to all sorts of outdoor activities. Take a 60-mile day-trip to Mt. Bachelor, or picnic at Cline Falls State Park, just five miles away. Two living areas with soft couches, gas fireplaces, and TVs are available for your group to enjoy, as well as a private hot tub. Watch cable or a DVD, listen to music on the stereo, or log onto the WiFi to look up a recipe for dinner. The kitchen has everything you need and more, with a blender, coffeemaker, mixer, slow cooker, and dishwasher for your use. There are two bedrooms and a den, providing room for up to six guests. The master suite has a queen bed and an en suite bathroom, complete with jetted tub. The second bedroom has a double bed, while the den has a sofabed ideal for the kids. For a small nightly fee, feel free to bring your family dogs along! Keeping bodies and clothes clean is easy - this home has three-and-a-half bathrooms and a private washer/dryer. There's tons to do in the area for anyone who loves the outdoors. Take a hike along Misery Ridge and Summit Trail Loop, photograph the stunning scenery at nearby Smith Rock, or ride off into the sunset on an equestrian tour. Book today and start packing your gear! The house has two parking spaces. Only two cars can be parked at the house overnight and must be parked in the driveway. On street parking is allowed for a maximum of six hours and only where parked vehicles do not block traffic or access for emergency vehicles. Parking on the streets between the hours of 2:00 am and 7:00 am is prohibited. RV or trailer (of any kind) parking is not allowed at the house. Thanks for considering a Vacasa home! We provide full-service management for privately owned vacation homes, and like to think that we offer our guests the best of both worlds: the unique experience of staying in a one-of-a-kind vacation home, with the peace of mind that comes from knowing that the home you book for your special vacation is cared for by professional housekeepers and property managers. 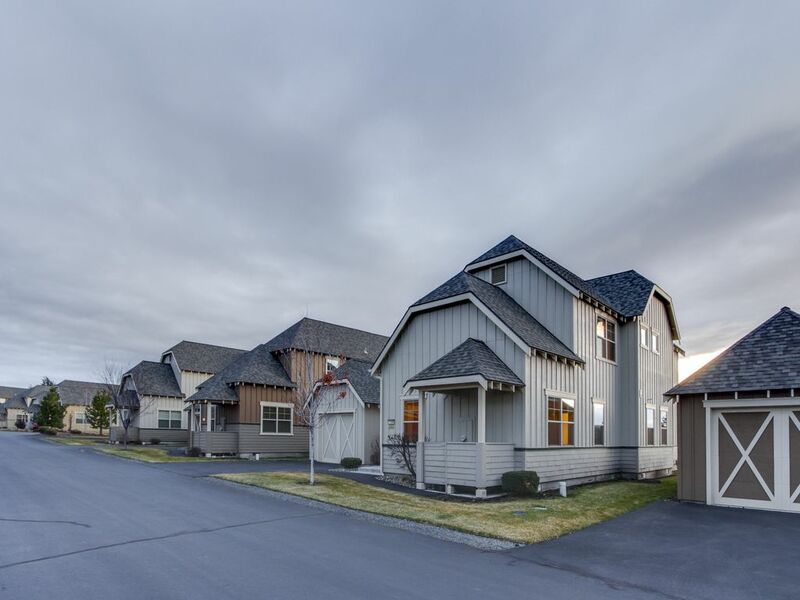 <br> <br> Vacasa began in 2009, simply because our founder and CEO Eric wanted to find a better way to share his wife’s family��s summer home in Long Beach, Washington with guests as a vacation rental. Eric and his early team worked to build Vacasa on the premise that local employees can do what they love most (taking care of guests, homeowners, and properties), while the hands-off tasks of vacation rental management—things like marketing, filing taxes, and maintaining a website—could be handled by a specialized central support team. <br> <br> Our passion is connecting travelers with the unique experience of staying in a vacation home, and we would be honored to be your host. Please contact us with any questions about this home—our team is standing by! We loved staying here! The view, the hot tub, all the rooms and bathrooms made it so comfortable. Would definitely stay here again!! Beautiful house and property! Great Mountain View’s and really nice for our dogs. Clean and bright. Now just a few things to mention. The carpets and rugs- time to get them out! Hard wood floors only for doggie friendly homes. The bedding needs replacing and more in stock. There were zero spoons in the kitchen!! Weird. Tvs were hard to navigate. Maybe an instruction sheet would help? Thanks! Hi Jaylene, we appreciate your feedback! We are glad to hear you enjoyed your stay. While we don't have any immediate plans to remove the carpeting, we will make sure it receives proper care and attention. We supply a fresh set of linens in the home to accommodate the maximum sleeping arrangement and spare bedding is typically kept in the home. We will make sure the kitchen is amply stocked with flatware. A digital home guide is available in your check-in details to assist with operating appliances in the home. We are also available 24/7 to assist. We look forward to hosting you again! Good Value for the Money! We really enjoyed our stay at this property and would use it again without hesitation. The only reason I can't give it five stars is that there are a few items that need to be fixed such as the master bedroom blinds, trash can and a few other small things plus the upstairs sofa bed mattress needs to be replaced. In the condition it is in now, the sofa bed upstairs is unusable. The home is comfortable and is well stocked with all of the amenities. It is a dog-friendly property which is a big deal for us and we were careful to pick up after our pets in the yard, as well as for other pets whose owners weren't as conscientious. I wish the upstairs bedroom has a master bed and not a queen, but that isn't unusual. Great views, clean and very functional. Thank you for your review, Richard! We have replaced the kitchen trash can and will be removing the sofa bed from the listing until the owner has an opportunity to replace them. The owner will also be personally inspecting the blinds and determining a course of action after that time. Thanks again! Great location, great home, lovely view!. Plenty of bathrooms and sleeping space.